The world wide chain of McDonald’s can be found almost anywhere in the world including the Negev Desert in Israel as well as Guantanamo Bay in Cuba. You can be sure that in both places you can order the infamous Big Mac. Have you ever wondered though what the Big Mac Sauce Ingredients are though? Wonder no more. 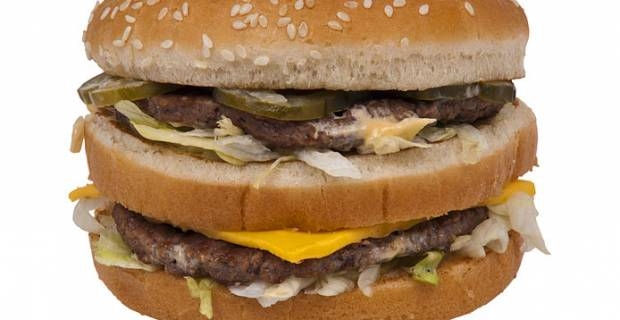 Note though that after reading this you might not want another Big Mac anytime soon. Some people absolutely love Big Mac’s and can’t get enough of the sauce. With two beef patties, onions, pickles, cheese, iceberg lettuce and the special sauce stacked between sesame seed buns who could resist? Well, probably quite a few. The Big Mac Burger consists of 72 different ingredients with the sauce containing 33 of those ingredients alone. The Executive Chef, Dan Coudreaut has explained that the “secret sauce” is not at all secret. In fact, according to him, you can make it with regular household ingredients. All you need to do is mix together 8 simple ingredients, mayo, pickled relish, yellow mustard, white wine vinegar, garlic and onion powder and paprika. He fails to mention a few vital Big Mac Sauce ingredients that most likely cannot be found in your pantry and are in fact part of the sauce that you eat in restaurants. These ingredients are everything from high fructose syrup, 4 different types of sugar, sodium, and Proplylene Glycol Alginate-what even is that?! Apparently it is the same stuff that is used in engine coolants and anti-freeze. For those that want to know all the ingredients, here is a list of the full 33. If you are still interested in learning how to do a homemade version of this sauce, here is a recipe that many claim to be extremely close to the real thing. Simply mix all the big mac sauce ingredients together and let it refrigerate it overnight. This allows the flavors time to blend and lessen the strong relish taste. Give it a go and let us know how it works out for you!